Swedish Power Metal act MORNING DWELL will release their self-titled debut album through Doolittle Group on April 2nd 2014. The Japan version of the album will be also released on March 19th 2014. 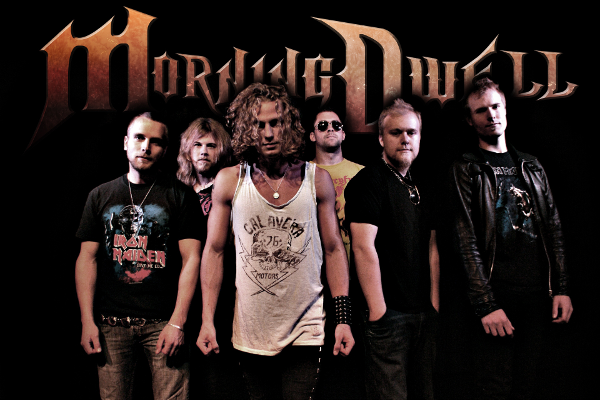 Originally it was a one man band project by Petter Hjerpe (vocal) and the band name MORNING DWELL is used since 2003. A decade later, he re-recorded some old songs and wrote new as well and mixed them all up into a demo which he called "Morning Dwell - Forever and ever Demo 2013" for a 10-year anniversary. Petter played every instrument by himself and also sang the vocals on the demo. 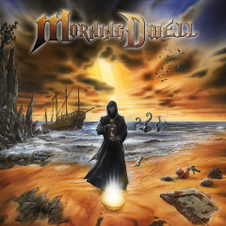 Now MORNING DWELL is a Power Metal project band, having a 11 track debut album which is theatrical metal and reminds Helloween which was the first band a little boy Petter's mind grabbed. The album was recorded at Production House in Örebro, Sweden by Tommy "Reinxeed" Johansson and Frippe Eliasson in the summer of 2013. Frippe Eliasson was also a good vocal coach to Petter. Mixed by CJ Grimmark (Narnia, Rob Rock) and mastered by Micke Lind (Candlemass, Talisman, ReinXeed, Golden Resurrection). Album cover artwork is handled by Andreas Marshall (Blind Guardian, Kreator, Stratovarius, HammerFall).